So for those of you who don’t know, my grandfather died 16 days after my grandmother passed away. To say April was a hard month would be an understatement. My April consisted of hospital visits, a funeral, taking care of my grandpa while he was in hospice care at home, and another funeral. Needless to say, blogging and editing were so far down on my to do list. So I am behind and I feel terrible about it. I am way too type-A to be this behind!! Plus, I have left y’all in the lurch for way too long! And that makes me sad! The good news is, it’s May. It’s a new month, a fresh start so to speak, and I am getting myself back on track. Blogging will return to the regular 2-3 days a week posting, and I am working like a busy bee to catch up on all the editing that has backed up! I am looking forward to getting back to life and to doing what I love!!! 1. Sunny SoCal Days. I love living in LA. The weather is so beautiful…and the warm sun? I cannot get enough! Feeling the sun on my skin makes me feel so happy and so alive. There is nothing better to me than just laying out and soaking it all up. Too bad its terrible for my skin…I will probably be a splotchy & wrinkly old lady, but I can’t get enough sun!! 2. Sunday Brunch. I usually brunch with my mom on weekends when I am not scheduled for a shoot or a wedding. It doesn’t happy every week, but when it happens its so nice! This Sunday my husband, my mom, my other grandparents (her parents) who live in Palm Springs, and my Aunt Betty and I all went to brunch together at John O’Groats, one of my favorite LA brunch eateries. I love just being with family, chatting over coffee and eggs, and just enjoying the leisure of it all! Bonus points to the delish Artichoke Eggs Benedict that John O’Groats serves up! ‘Tis mighty tasty!! 3. Bobby Fay the Spider Killing Cat. My black cat is named Bobby Fay after Iron Chef Bobby Flay…It’s a long story…but anyway point is I love my cat for a million reasons. He is sweet and cuddly and smart and curious and funny and loving…and one more amazing thing. He kills spiders for me! I HATE spiders. And sometimes I am home alone when one appears on the wall. Spiders the size of nickel. SICK. But there goes little Bobby cat. He spots that spider and plans a strategy of attack. Then POW! He kills that spider. When AJ is home sometimes he just alerts AJ to the spider’s presence…he doesn’t want to take away AJ’s role as man of the house. But when daddy’s not home little Bobby goes and gets that spider for me. Its amazing. I have never had a cat quite skilled and practical as Bobby. It makes me love him that much more. 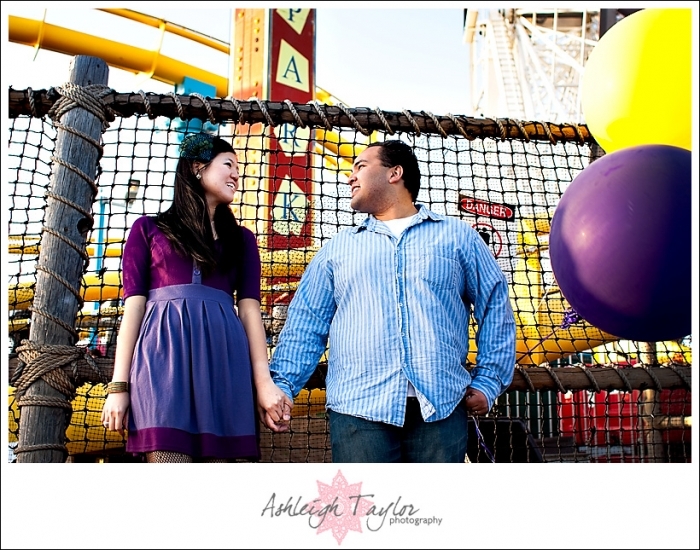 And now here is a teaser of an engagement session I am currently editing! The lovely Zoe + Nima!! Christina - I must agree with Samantha, you are pretty amazing Ashleigh! Welcome back… and with such a bright teaser. Love it! Dawn - Ashleigh you are beyound amazing! You have sooooo many people out here who care and love you – we have all missed you but totally understand. I’m happy you are back doing what you LOVE and what you do so darn well! ellie - we missed you but i’m so happy you took time off, you are amazing and im so sorry about your loss. Glad you’re back! !